The health startup Scanadu just finished their Indiegogo campaign, bringing in $1.66 million in orders for the Scanadu Scout from backers around the world. That makes it the most successful campaign to date on the crowdfunding site. 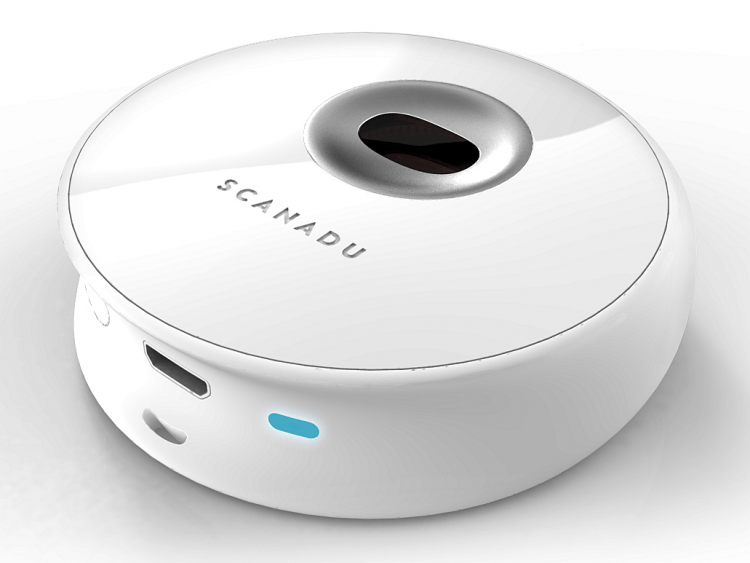 The Scanadu Scout is the world’s first “medical tricorder,” according to Scanadu. The company wants to empower individuals by equipping them with the small, disk-shaped device that is capable of reading a number of vital signs and pushing the data to your smartphone. The Scout can measure heart rate, body temperature, oxymetry, respiratory rate, blood pressure, ECG, and emotional stress. Scanadu says that the process is extremely simple: you just place the Scout on your forehead for ten seconds, and when the process is finished, the results are sent to your smartphone. Apps are in development for Android and iOS, and will allow users to track their results over time to watch for trends. The device itself is very small; it’s the shape of a hockey puck, but very small and wrapped in a polished clinical white shell. The Scout transmits data via Bluetooth 4.0, and uses a micro-USB port for charging the battery that can last for about a week if used "a few times” per day. The first batch of 1,000 units went for $149, according to All Things D, but the price was later adjusted to $199. Scanadu is planning to use the early backers of the product as “testers” to collect the data the company needs to get FDA approval. Scanadu says that the Scout should be widely available by late 2014 or early 2015.